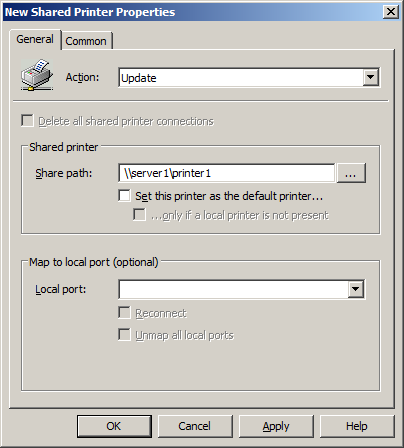 In this second of what I am sure are many FAQ posts, I am going to show you how you can use Group Policy Preferences to map printers in your organisation to help you do away with mapping printers via logon scrips. Firstly this is only a brief introduction to printer mappings. 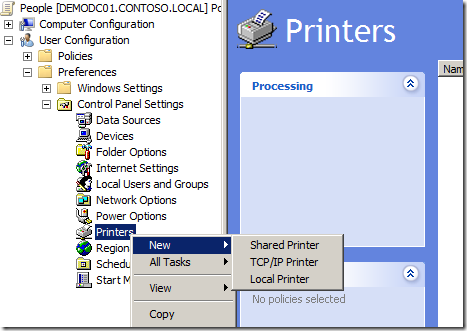 If you want a more advanced tutorial on using Printer Preference then I recommend you take a look at my other post How to use Group Policy Preferences to dynamically map printers with Roaming Profiles. Firstly you will need to check that you have already have got the Group Policy Preference Prerequisites installed and you also have the Group policy Management Console Installed on a management computer in your environment. 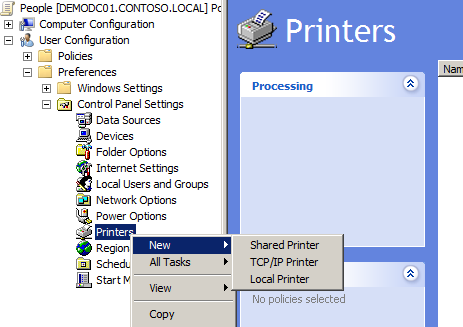 Now to map the printers all you need to do is go to the Printer Extension option of the Group Policy you want to apply the setting from (see below). All you need to do now is put the UNC Path of the printer in the “Shared path:” text field and your done. 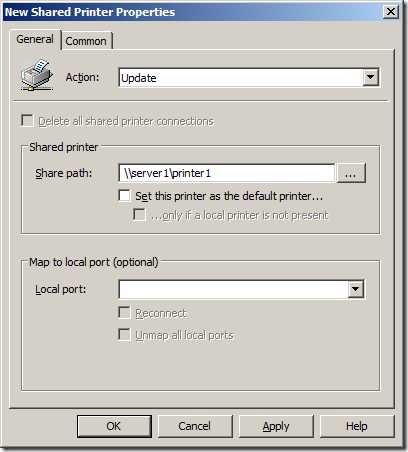 No more batch files, vbscripts or KIX scripts to edit and maintain for mapping printers…. NICE!!! Also remember that you can also target this setting using Preference Item-Level Targeting using the traditional Security Group Targeting or you can be a little more dynamic and use IP Address Range Targeting or Site Targeting. Hi, Printer Map over GPP is only a solution in a test environment with just a view printers.. We have extending GPP Printer Mapping in a big environment on witch the user have 6 to 10 Printers form HP or other Vendors. In this scenario the Loggin time for a user incrase from 20seconds with no printers in GPP, to 2 – 4min with 6 – 10 Printers mapped via GPP. This is not acceptable! Now we are back to step one and map the printer in a vbs script witch a asyncronous to the user loggin. Something left out in here is that you should go into the second tab and choose to assign the printers in the user’s scope, or else any filtering you do based on that will not work.